Even if it is your first time editing ebooks, Sigil is strait forward and easy for anyone to use. 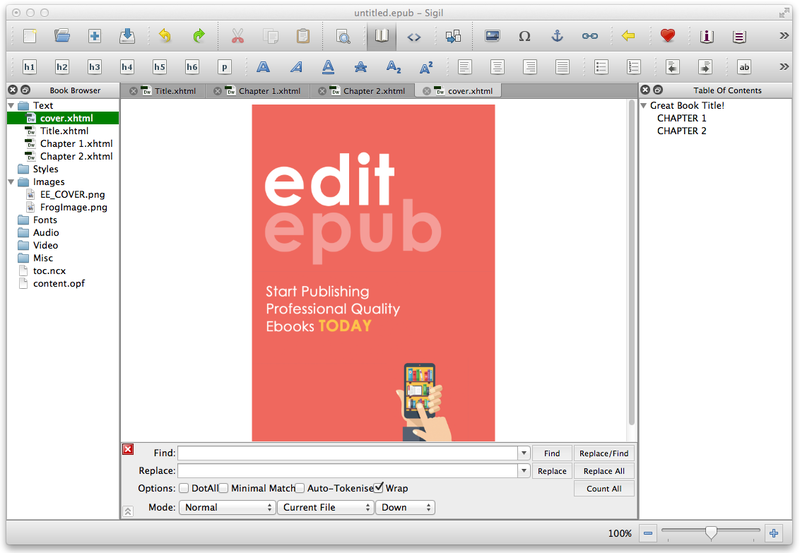 You dont need any coding experience to edit and create ebooks with Sigil. The interface is simply, with various views, including code view, book browser, validation results, and, of course, a WYSIWYG view so you can see how the end product will look. When you first download Sigil it can be a little overwhelming, but dont worry, we will show you exactly how to use Sigil with screenshots and videos to make everything easy. You can get sigil using the download links below.